The E.28/39 was Britain’s first jet powered aircraft. 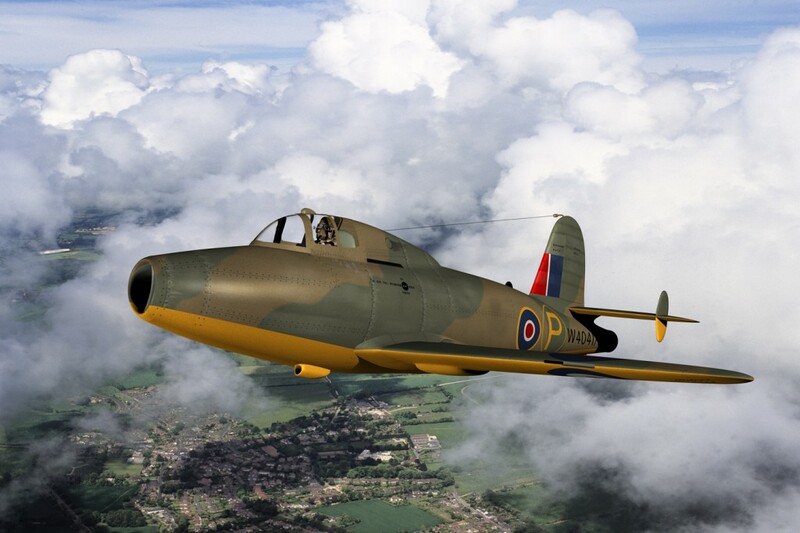 The seemingly strange name comes from the fact that it was a joint design between the Gloster Aircraft Company and Frank Whittle (later Sir) who invented the jet engine. The ‘E’ means that it was an Experimental aircraft and it was ministry approved design number 28 of 1939. This aircraft still exists and is on permanent display at the Science Museum in London.